Located along the Loxahatchee River, just off Loxahatchee River Road, the gated community of Island Cove has 22 single family homes featuring five to six bedrooms and over 9,000 square feet of living space. 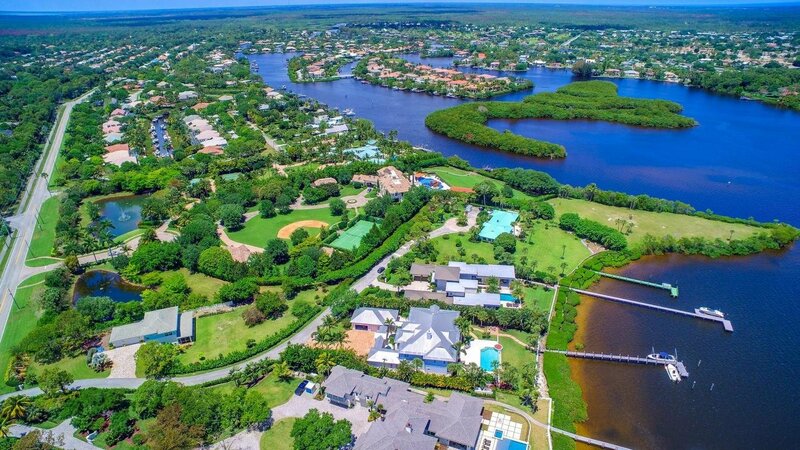 Homes offer breathtaking views of the Loxahatchee River and with no required golf or social memberships, low HOA fees and only minutes to the Jupiter Inlet by boat, this community is an avid boater's dream. Island Cove is centrally located, get to restaurants easily by boat or by car! This neighborhood is zoned for A rated public schools but is also close to many private school options.